Top quality construction and accurate intonation. 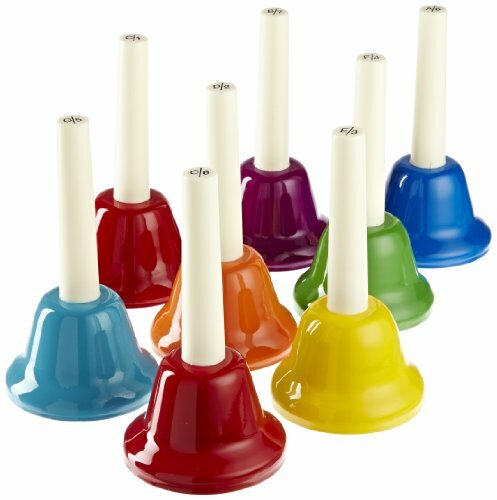 C-c range, each of the 8 metal bells are marked with the proper note and number to help children learn the musical scale. Five-inch handles make for easy playing.